Comfortable six point mounted fully adjustable terylene cradle. High density polyethylene shell. Supplied complete with brushed nylon sweatband. 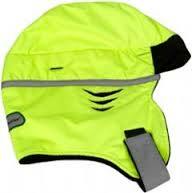 We stock this highly protective helmet for only £6.97! Comfortable six point mounted fully adjustable terylene cradle. High density polyethylene shell. Supplied complete with brushed nylon sweatband. High quality helmet for just £6.97! Comfortable six point mounted fully adjustable terylene cradle. High density polyethylene shell. Supplied complete with brushed nylon sweatband. Truly impressive quality helmet for only £6.97! Comfortable six point mounted fully adjustable terylene cradle. High density polyethylene shell. Supplied complete with brushed nylon sweatband. Landing at an amazingly low £6.97! Comfortable six point mounted fully adjustable terylene cradle. High density polyethylene shell. Supplied complete with brushed nylon sweatband. All-round good quality protection for only £6.97! Comfortable six point mounted fully adjustable terylene cradle. High density polyethylene shell. Supplied complete with brushed nylon sweatband. In stock NOW for only £6.97! Comfortable six point mounted fully adjustable terylene harness. High density polyethylene shell. Comes complete with brushed nylon sweatband. Reduced peak for improved visibility. Durable and great value for money at only £7.45! Comfortable six point mounted fully adjustable terylene harness. High density polyethylene shell. Comes complete with brushed nylon sweatband. Reduced peak for improved visibility. Superior head protection for only £7.45! Comfortable six point mounted fully adjustable terylene harness. High density polyethylene shell. Comes complete with brushed nylon sweatband. Reduced peak for improved visibility. Available to order now for only £7.45! For Improved safety and upward visibility. Impressive head protection for a minimal price of £10.90! Extremely lightweight 20% lighter (approx 300g than most other helmets) yet provides maximum impact and lateral deformation protection. The lightweight shell, Terylene cradle, Hydro-Flock sweatband and ventilation provide maximum comfort and balance. Extremely lightweight 20% lighter (approx 300g than most other helmets) yet provides maximum impact and lateral deformation protection. The lightweight shell, Terylene cradle, Hydro-Flock sweatband and ventilation provide maximum comfort and balance. super saving price of just £10.23! Extremely lightweight 20% lighter (approx 300g than most other helmets) yet provides maximum impact and lateral deformation protection. The lightweight shell, Terylene cradle, Hydro-Flock sweatband and ventilation provide maximum comfort and balance. Order Now! Extremely lightweight 20% lighter (approx 300g than most other helmets) yet provides maximum impact and lateral deformation protection. The lightweight shell, Terylene cradle, Hydro-Flock sweatband and ventilation provide maximum comfort and balance, only £10.23! Extremely lightweight - 20% lighter (approx 300g than most other helmets) yet provides maximum impact and lateral deformation protection. The lightweight shell, Terylene cradle, Hydro-Flock sweatband and ventilation provide maximum comfort and balance. The First Base + modern design features fully breathable fabric to reduce heat build up. Channelled foam insert pad to maximise air flow and improve comfort. Large ventilation panels. Front corporate badging area for embroidery. Terry towelling sweatband. Stylish and comfortable safety helmet design weighing just 310g. Manufactured from high-density polyethylene. The helmet is durable, well balanced and has an extensive range of accessories, such as face protection and hearing protection that easily connect to the helmet shell maintaining comfort and maximising protection for the wearer. A premier version of probably Europes most popular design. Shell accommodates larger head sizes. 6-point comfort plus webbing cradle with replaceable foam sweatband. Designed for prolonged wearer comfort. Slip adjustment to fit. Ultra-Low price of only £7.79! A premier version of probably Europes most popular design. Shell accommodates larger head sizes. 6-point comfort plus webbing cradle with replaceable foam sweatband. Designed for prolonged wearer comfort. Slip adjustment to fit. Great value for money at only £7.79! 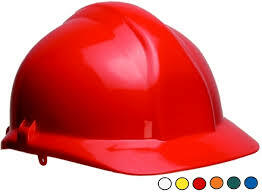 JSP Mk III HARD HAT. 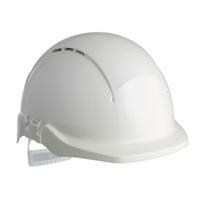 A premier version of probably Europes most popular hard hat/safety helmet design. Shell accommodates larger head sizes. 6-point comfort plus webbing cradle with replaceable foam sweatband. Designed for prolonged wearer comfort. Slip adjustment to fit. Full head protection for just £7.79 from SSD! A premier version of probably Europes most popular design. Shell accommodates larger head sizes. 6-point comfort plus webbing cradle with replaceable foam sweatband. Designed for prolonged wearer comfort. Slip adjustment to fit. A premier version of probably Europes most popular design. Shell accommodates larger head sizes. 6-point comfort plus webbing cradle with replaceable foam sweatband. Designed for prolonged wearer comfort. Slip adjustment to fit. Impressive quality helmet for only £7.79! Plastic 6-point suspension cradle with replaceable foam sweatband. Slip adjustment to fit. UV stabilised high density polyethylene shell. Accepts Surefit or other safety accessories with international adaptor. Huge savings on class leading helmets from SSD! Plastic 6-point suspension cradle with replaceable foam sweatband. Slip adjustment to fit. UV stabilised high density polyethylene shell. Accepts Surefit or other safety accessories with international adaptor. Top class head protection for £4.74! 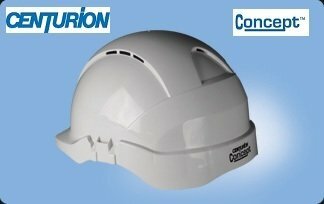 These Helmet liners help maximise worker efficiency and safety in cold and wet weather conditions by protecting against heat loss through the head; ensuring alertness in safety critical environments where the use of head worn PPE is a pre-requisite. One Size fits all! 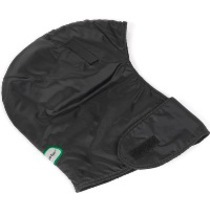 These Helmet liners help maximise worker efficiency and safety in cold and wet weather conditions by protecting against heat loss through the head; ensuring alertness in safety critical environments where the use of head worn PPE is a pre-requisite. One Size fits all. Only £11.75 from SSD! stylish and comfortable safety helmet design weighing just 310g. Manufactured from high-density polyethylene. The helmet is durable, well balanced and has an extensive range of accessories. High quality, cost effective helmet for only £5.06! stylish and comfortable safety helmet design weighing just 310g. Manufactured from high-density polyethylene. The helmet is durable, well balanced and has an extensive range of accessories. Order yours today for an exceptional £5.06! Stylish and comfortable safety helmet design weighing just 310g. Manufactured from high-density polyethylene. The helmet is durable, well balanced and has an extensive range of accessories. Super-savings at only £5.06! Stylish and comfortable safety helmet design weighing just 310g. Manufactured from high-density polyethylene. The helmet is durable, well balanced and has an extensive range of accessories. Incredible price of only £5.06! Stylish and comfortable safety helmet design weighing just 310g. Manufactured from high-density polyethylene. The helmet is durable, well balanced and has an extensive range of accessories. Ready to order now for only £5.06 from SSD! Stylish and comfortable safety helmet design weighing just 310g. Manufactured from high-density polyethylene. The helmet is durable, well balanced and has an extensive range of accessories. Top-class head protection for only £5.06! 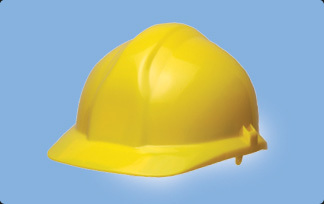 Our Personal Protective Equipment (PPE) selection is one of the most extensive online. 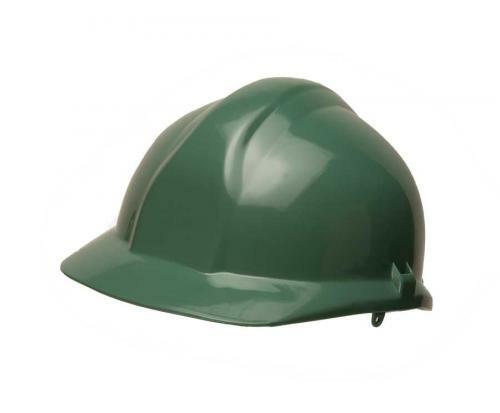 We offer great savings for the health and safety products including Hard Hats, Safety Helmets and Head Protection, all adhering to EN397 Regulations!